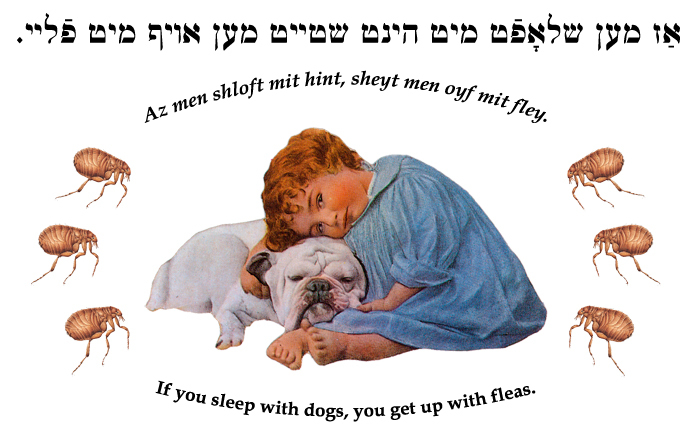 Yiddish Wit: If you sleep with dogs, you get up with fleas. אַז מען שלאָפֿט מיט הינט, שטײט מען אױף מיט פֿלײ. Az men shloft mit hint, shteyt men oyf mit fley.